We never seem to be able to consume all the fruit we have on hand. Always looking for new ways to prepare it, I turned to the internet for a cake or cookie recipe that I could make with papaya's. Thanks to the CUPCAKE BLOG I found a slew of amazing and unusual cupcake recipes and one in particular using papaya. 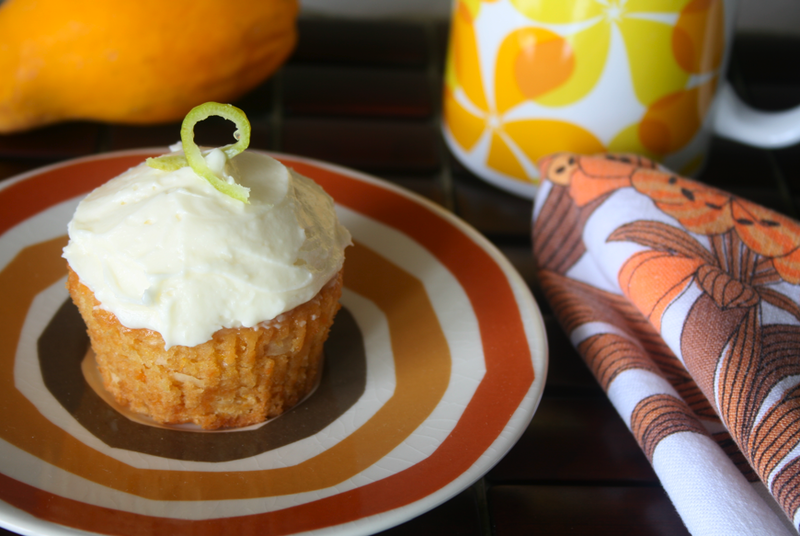 So last night I whipped up a batch of Papaya-Coconut Cupcakes with Ginger-Lime Cream Cheese Frosting. Interesting... Very dense and moist with a pyramid of flavors. First it tastes slightly fruity then coco-nutty followed by a tangy sweetness then a subtle spiciness from the ginger finishing with a fragrant finish. So of course I had one first thing this morning with coffee. What a way to start the day.